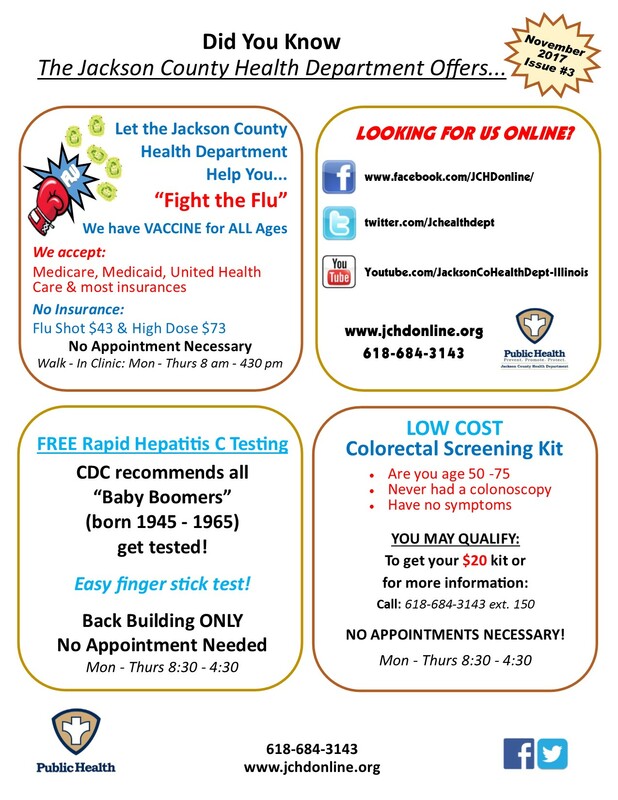 Jackson County Health Department (JCHD) has been providing a wide array of public health services for residents of Jackson County, Illinois since our doors opened in 1950. We're located in Southern Illinois on Route 13 between Carbondale and Murphysboro. Click here for a map. 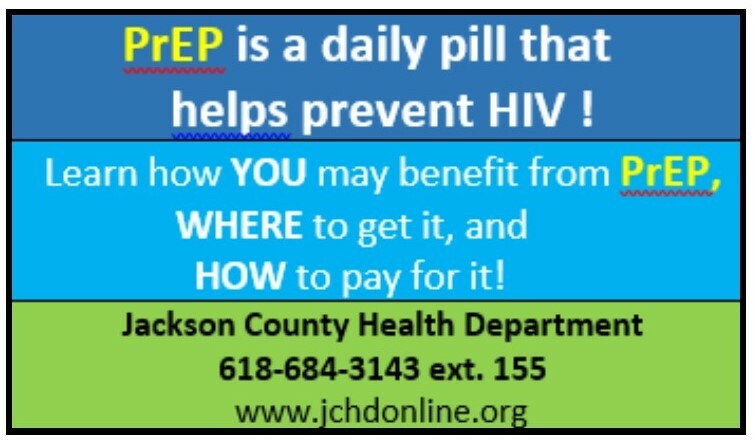 JCHD can be reached by calling (618) 684-3143. JCHD provides both individual services - such as immunizations and case management, and community services - such as disease surveillance/control and recycling drop-off sites. We are dedicated to improving the health of this community through both our direct efforts, and by collaborating with other community partners. JCHD staff are active members of the Jackson County Healthy Communities Coalition. For more information on What Public Health and JCHD does to improve health, click HERE. JCHD is governed by an 8 member Board of Health. These board members are appointed by the Jackson County Board. Services are funded by state and federal grants, local property taxes, and fees. The Administrator of the health department is Dr. Sarah Patrick. Jackson County Health Department is committed to protecting the confidentiality of our clients and to maintaining transparency in government.